The Birdfoot Festival’s Young Artist Program gives young musicians the chance to “be in the driver’s seat.” Guided by international-caliber musicians and working with a small group of your peers, the Young Artist Program empowers you to make musical decisions and develop your musical voice. This series of intensive chamber music coachings, workshops, masterclasses, and performance opportunities will expand your musical abilities, imagination, and leadership skills. 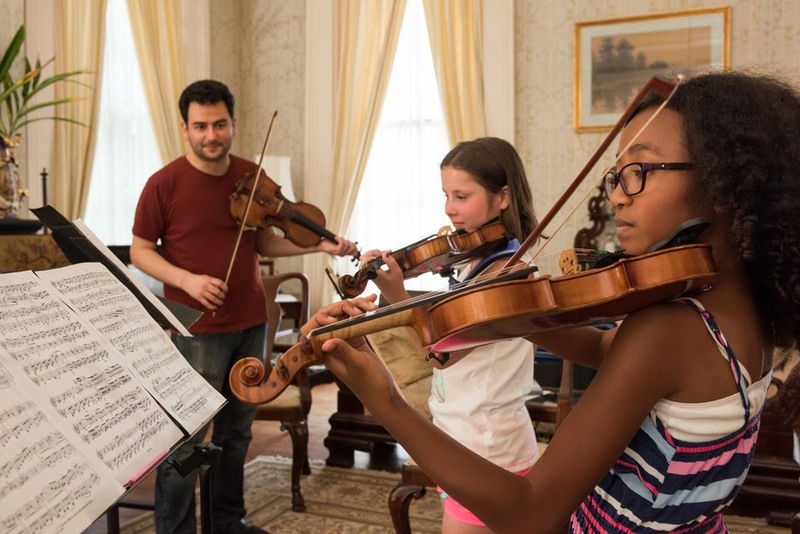 Young Artist Program participants have gone on to study music at Harvard, Eastman School of Music, Cleveland Institute of Music, and Peabody Conservatory, among others. 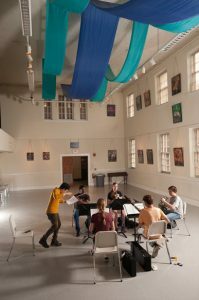 Program participants work closely with superb teacher-mentors in twice-monthly coachings and with the Birdfoot Festival’s outstanding chamber musicians during the annual May festival (May 22–June 1, 2019). Birdfoot Young Artists also participate in workshops and masterclasses while collaborating with like-minded peers. At the end of the program, selected ensembles perform before in showcase concerts before Birdfoot Festival events, and all groups will play a final concert on June 1, 2019. Young Artist Program teacher-mentors include both Birdfoot Artists and local professional musicians. Teacher-mentors are chosen for their outstanding teaching and ability to communicate their love of chamber music. Private teachers of participating Young Artists are recognized in the Birdfoot Festival concert program. • View the mini-documentary about Birdfoot’s Young Artist Program and why it has been an integral part of Birdfoot’s programming since the festival’s very first season. • Read more about Birdfoot’s Young Artists Program in this feature article in The New Orleans Advocate here. • Listen to an interview with a Young Artist Program coach and view a photo essay on the Young Artist Program by New Orleans photographer Ryan Hodgson-Rigsbee here. The mandatory December 2, 2018 workshop fee is $65. Tuition for the full program is $300/student (contact the Birdfoot office to request a need-based scholarship or arrange a payment plan). In addition to twice-monthly coachings, workshops, and masterclasses, participating Young Artists receive free admission to all Birdfoot Festival concerts and interact with Birdfoot artists as VIP guests for the 2019 Birdfoot Festival concerts on May 29, 30, 31 and, June 1, 2019. The Young Artist Program is open to advanced high school-age musicians. Exceptional younger musicians and undergraduate ensembles are occasionally accepted. Both individual musicians and pre-formed chamber ensembles (duos, piano trios, string quartets, woodwind or brass quintets, etc.) are invited to apply for the Young Artist Program. Individual applicants, whenever possible, will be placed in an ensemble with other musicians of similar age and level, which will work together throughout the year. Submit your registration for the mandatory, December 2, 2018 Workshop using the link below by the end of Friday, November 30, 2018. Participate in the workshop on December 2, 3 PM–5 PM at Tulane University. All participants will prepare a short set movement of chamber music (which will be sent to you upon receipt of your registration) that will be explored during the December 2 workshop. 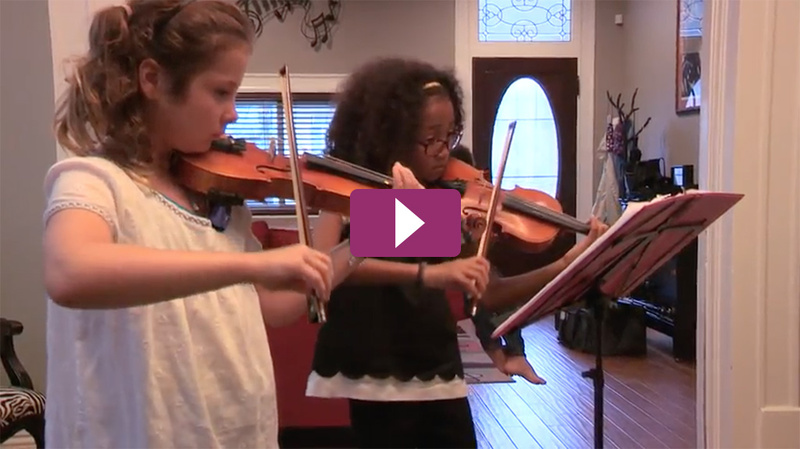 Pre-formed ensembles may also bring repertoire that they are learning. Please contact the Birdfoot Festival if you have questions about repertoire and musical level. Workshop participants will be notified soon after the workshop if they are accepted into the full program. 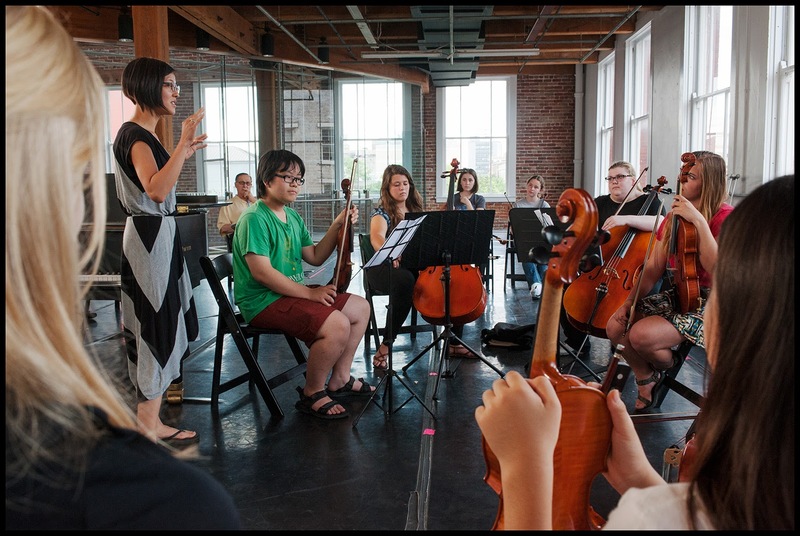 Upon acceptance, Young Artists will participate in two coaching per month with this program’s resident teaching artists, a subsequent workshop (March 24, 2019) and a masterclass with Birdfoot Festival Artists (May 26), Showcase Concerts before Birdfoot Festival concerts (May 30), and a final concert for all program participants (6 PM on June 1). Step 1: Fill out and submit the December Young Artists Program Workshop online registration form for each participant by midnight on Friday, November 30, 2018.